See boy #3 over on the right, not wanting to take a picture that day? All of ’em did that at one time or another. We persevered and they all grew out of that stage. Hang in there, Mama. Be strong. Pray often. Win the battles. Seek Jesus. Take naps. In summary, I decided to change everything I knew about everything I did – all at once. No big deal. I detailed the crazy journey here. Read it so you can learn from my insanity. Then keep following us here so you can continue to learn SIMPLE (yes, simple – take a big deep breath) ways of eating a real food diet that I have been learning since I got off the crazy train. Matt and I keep finding ways to love each other better and to work life as a team. We find our teamwork to be most effective when we’re on our knees together. There is no other way. We’ve found ourselves with a passion to encourage and equip others for a healthy marriage and frequently enjoy “couch time” with soon-to-be-married couples or couples in crisis. 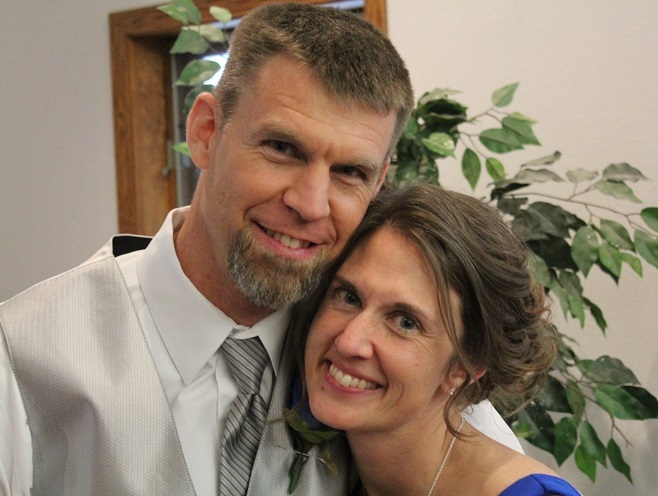 God has been using this time to strengthen our own marriage in ways only He can. Sometimes it’s hard. Sometimes it’s harder. Always God wins. Matt and I are both self-employed. I write (and write and write). Matt uses his incredibly gifted mind of entrepreneurship (a word I have yet to say correctly without slowing down and pronouncing each syllable like I’m a six-year old) to run a variety of small businesses. He amazes me (and sometimes overwhelms me) with his never-ending ideas. He frequently sees a need and makes it (or considers making it) into a business. Often our boys help him with his work – from snow removal to lawn care to rental property management to home repairs. It’s super cool. It wasn’t long after we started having babies before we realized that 18 years was going to fly by very quickly. We were enjoying our boys so much that we couldn’t stand the thought of missing hours of time with them each day. God convicted us to homeschool (even though at the time we barely knew what that was). Schooling at home (for 14 years and counting!) has provided awesome flexibility to enjoy some better than fantastic opportunities through the years. We love everything about homeschooling (except for the parts we don’t). What I mean is – nothing is perfect and sometimes we have off days. Ain’t that just how life is? (I never say ain’t. I teach my boys proper grammar.) Read more about our Homeschool Hubbub here. They used to be and I thought they would be forever. Then we hit our oldest son’s senior year and I’ve been weepy ever since. Why the tears? 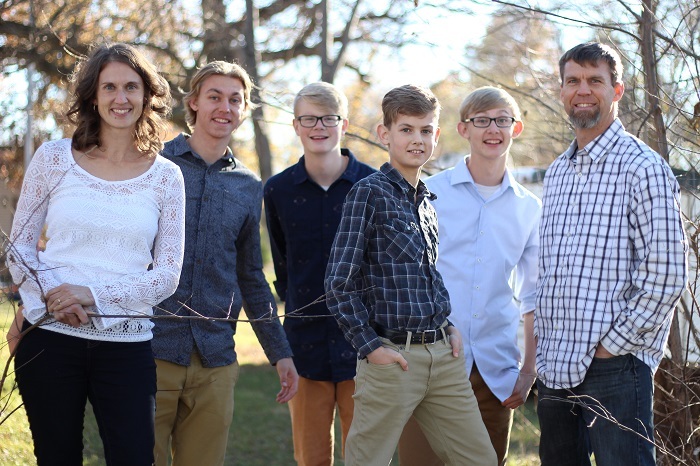 Because it is the most amazing thing to look at my growing-up sons and see the work of God in them. They are clever, creative, funny, kind, smart, hard working, and God-seeking. They have strengths and weaknesses, just like the rest of us, which has taught me how to actually and for real trust God with my kids. So I pray for them, and I cry. I watch them on the soccer field and basketball court, and I tear up. I hear them sing, I cheer on their latest projects, I watch their amazing videos and listen to their music creations, I experience all of their God-given talent at work and the joy just comes out of my eyes. It’s a mom thing. I figure at the very least I’m preparing my sons to be married to a girl someday – one who might also cry every once in a while. I do what I can. I’ve got hundreds and hundreds of easy, real food recipes all over this website for you. I’ve put together dozens of helpful resources in our shop. 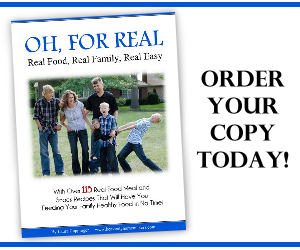 A few years ago I compiled the best of the best of all my real food recipes and time-saving tips in my Oh, For Real: Real Food, Real Family, Real Easy printed cookbook. One of our best and most helpful resources is Simple Meals. 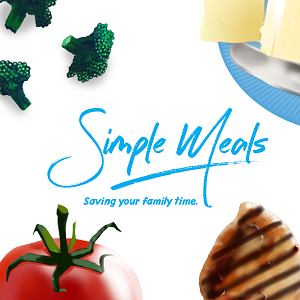 You most definitely want to become a member, because Simple Meals saves you time, money, energy and gives you back time with your family! There’s something quite special about the Heavenly Homemaker’s Community and I invite you to stick around. My goal is to walk this journey with you as we all seek the best for our families – in faith, in health, in the kitchen, and all the places that we might shine or fall short. If I’ve learned anything in over four decades of life it is that I desperately need the strength of Jesus and the encouragement of others. Coffee is also welcome. We have some great options for you, so pick one or pick them all. Whatever benefits you most. They’re all free to you. Sign up for to receive an email 3-4 times each week – each time I post something new on my blog. Sign up to receive one email each week – all of the week’s blog posts in one tidy email. Join our Homemaker’s Savings Club. I send special emails 1-2 times each week sharing the best deals or freebies you’ll want to know about. Be a part of our Heavenly Homemaker’s Learning Zone. Every couple of weeks I create printable resources for you to use as you learn with your kids. They’re mostly free and they are really fun (and educational, but don’t tell). If you’re a mom, you’ll want to take advantage of this! Take the Health Challenge. Sign up for this and you’ll receive a special, encouraging email about once a week to aid you in your journey to good health! Well, that about covers it. Have more questions? Check out my Frequently Asked Questions page. I’m so excited to meet you and enjoy time with you!